Welcome to our home. 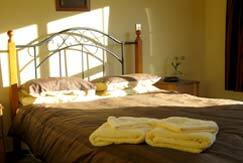 Situated within walking distance to most of Cromwell’s amenities, this is the perfect spot for any visitor to Cromwell. We are semi-retired Southland farmers who are in love with this part of Central Otago. Nestled idyllically in the heart of the wine region, there are many places and activities that will appeal to everyone. Orchards, vineyards and wineries for the wine lover as well as trout fishing, boating and slow walks around historic gold country. Cromwell is also a short drive from New Zealand’s favourite ski fields, Wanaka and queenstown.